“Ten years before T.H.E. Journal was launched , Logo was designed as a programming language that could be accessible to children. The spirit of the enterprise was like the way the Wright brothers approached aviation: I thought of giving children the power to program computers as a tiny first step in a complex process whose details could not be anticipated. 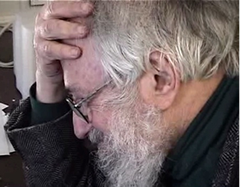 Papert, Seymour. (1997) Educational Computing: How Are We Doing?. T.H.E. Journal Silver Anniversary Issue. June 1, 1997. A bevy of influential educators have given the role of digital thinking another fine push forward, notably for the age 3-8 set, a stimulus long overdue. (http://joanganzcooneycenter.org/upload_kits/jgcc_takeagiantstep.pdf) And yet they continue to lament the limp value of computer integration while mischaracterizing the meaning and value of the digital revolution. They criticize “Mindstorms” as a technocentric view, and promote an insufficient TPACK model (http://ecrop.blogspot.com/2011/11/tpacks-insufficient-transitional-model.html). Digital thinking is still seen as an add-on and supplement to existing educational content that teachers merely need to use more efficiently and effectively, not the transformation of content that computer technology has made possible. So much more is possible, and happening, but happening outside the boundaries of too many school classrooms.